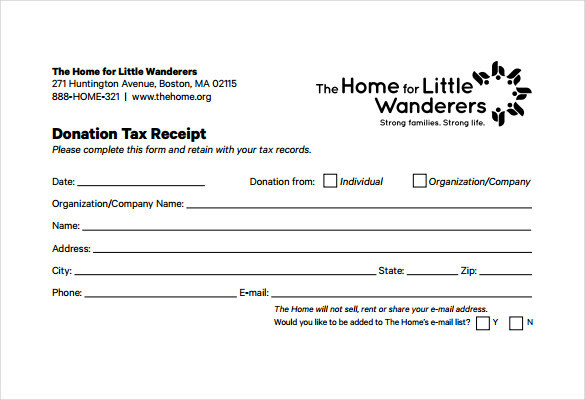 Using the receipt donation templates, you will have the physical evidence of individual paying for charitable causes. 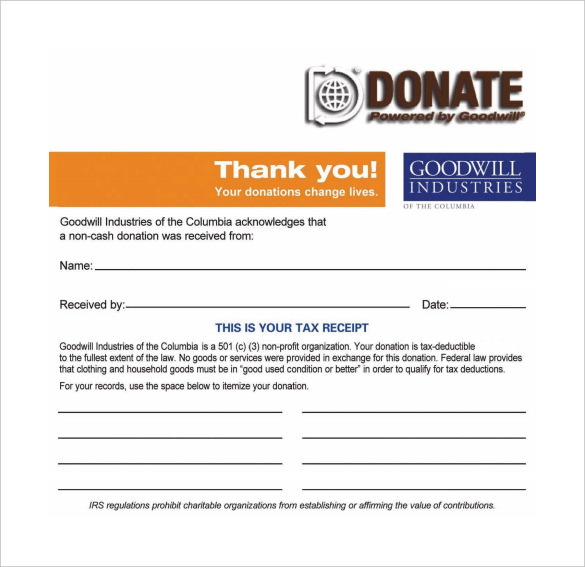 It is important evidence that can be used by the donor to get tax deductions from the government. 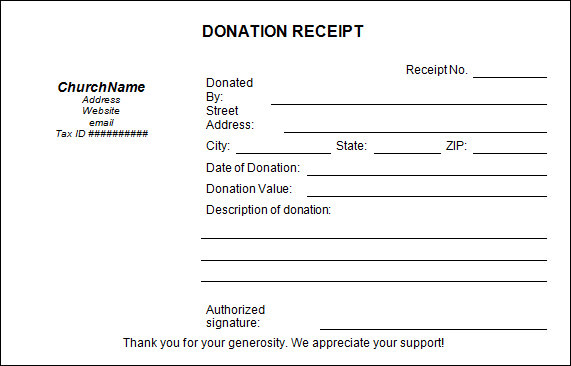 People donating more than 250 dollars should take the receipt as it is treated as a legal proof of name and the contact address of the donor. 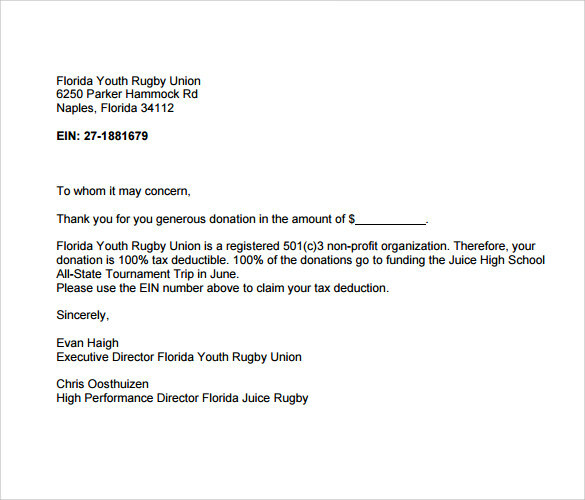 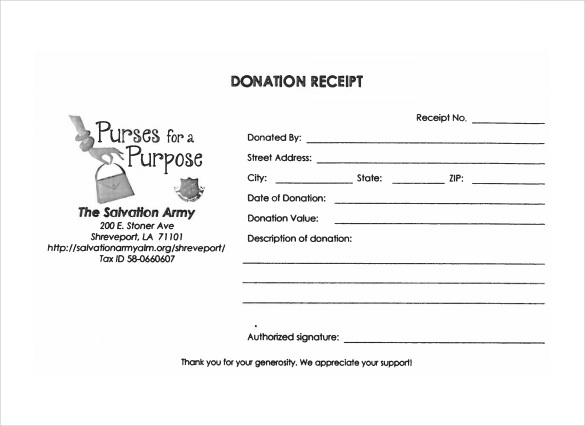 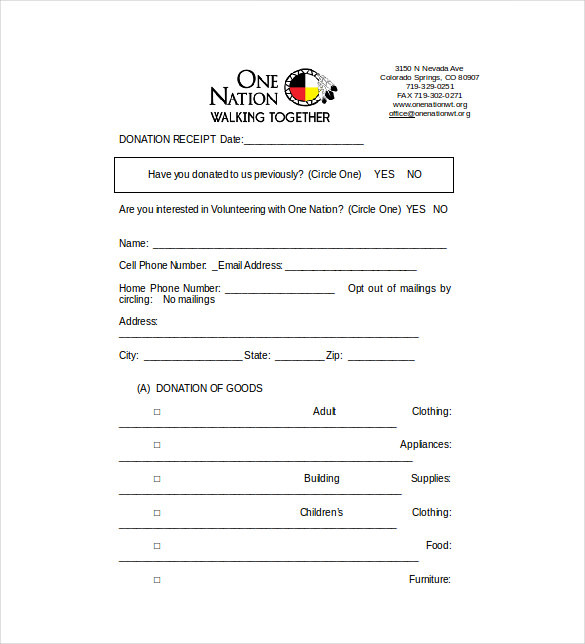 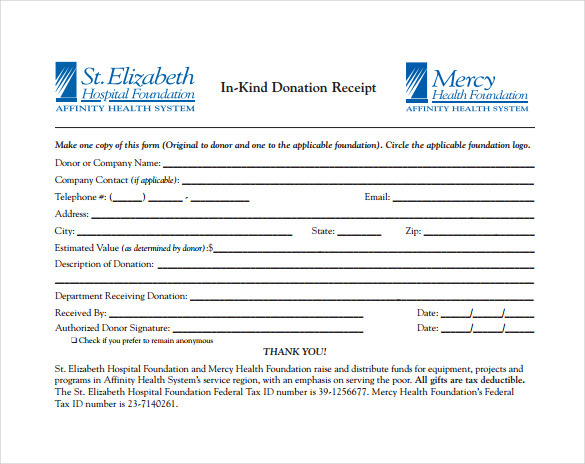 In addition, the donation receipt template provides information whether the organization is nonprofit. 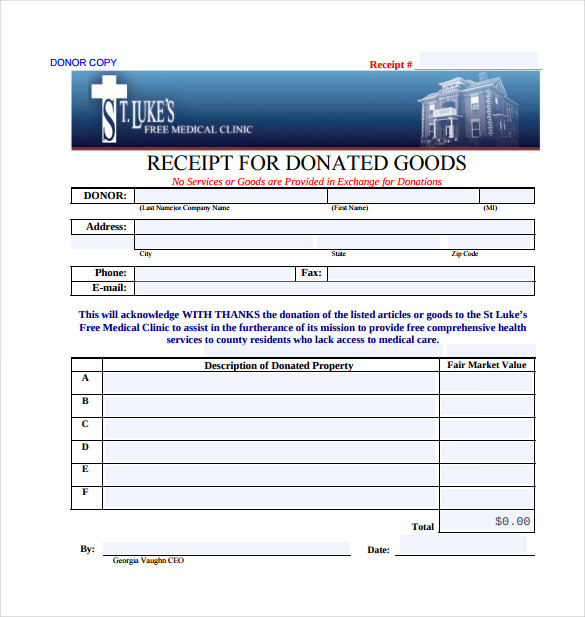 Rather than relying on the hand created receipts you can use the online versions. 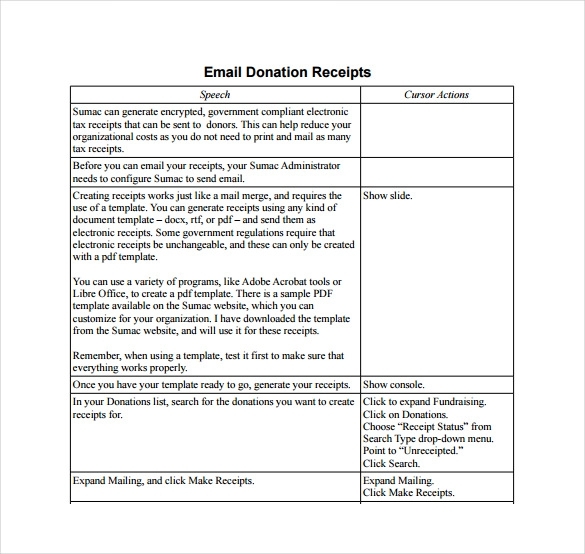 The former may take some time for creation, but the latter is available in different formats to speed up the process of filling required information. 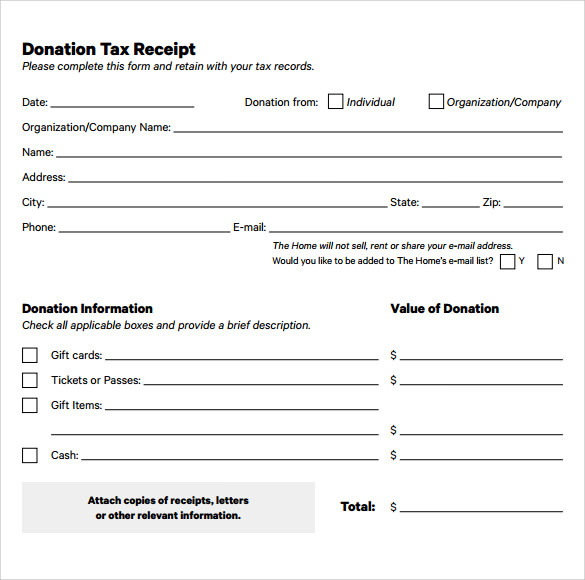 Using the receipts, you can improve the finance of your company by claiming the tax rebate on the donated amount. 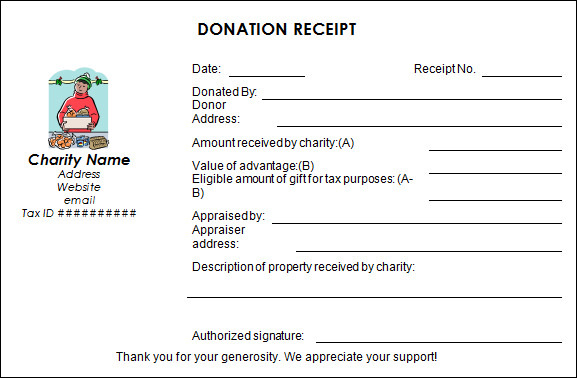 It is bound to provide sterling results from a long-term perspective. 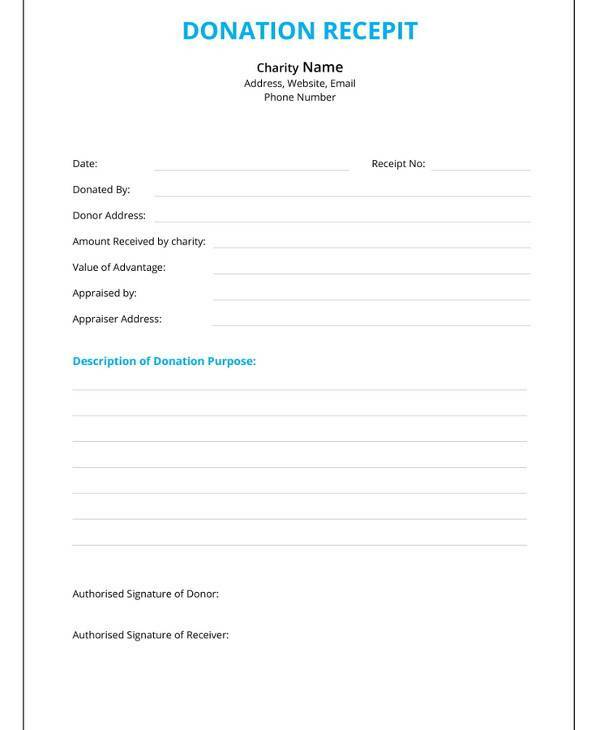 At the top of the template document, adequate space is available to enter the donor name along with the date and the attendant information. 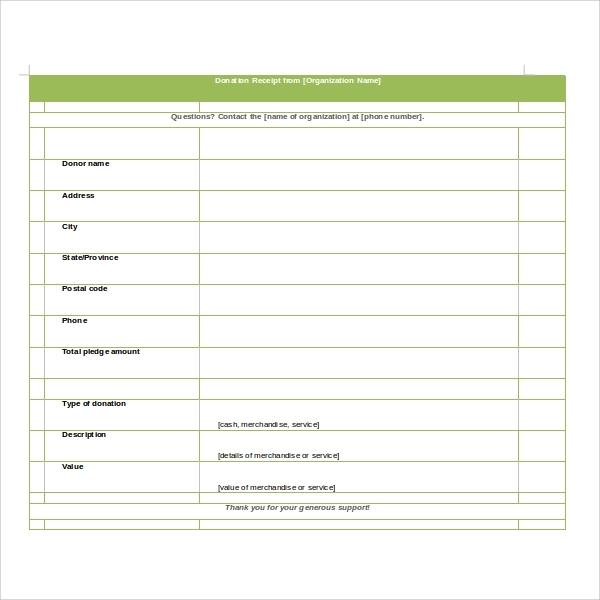 In the body of the sample, a list of items is displayed enumerating the individual costs. 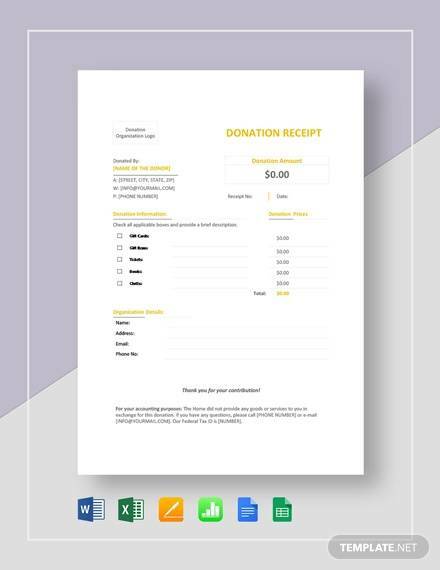 Therefore, it provides the exact total amount that has been donated to the organization.You may also see donation receipt letters. 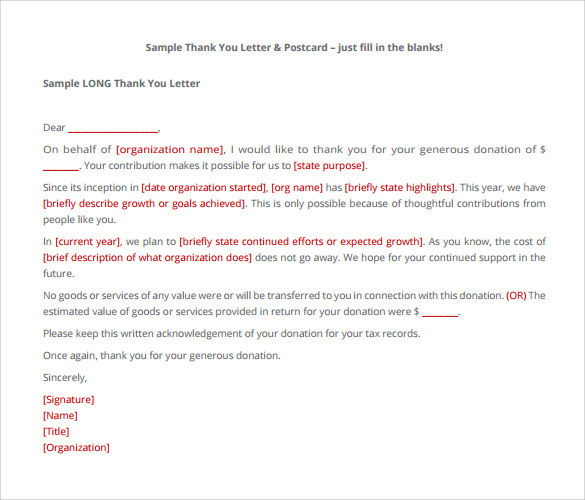 One of the most important benefits is that using template saves time and money. 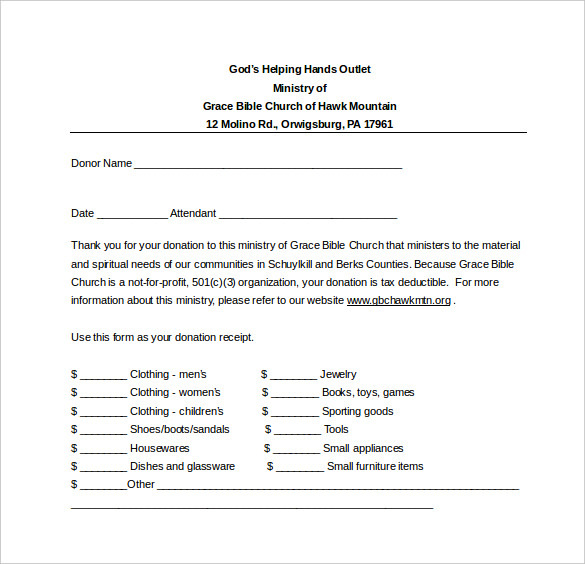 You do not need to design the format because it is readily available on the internet. 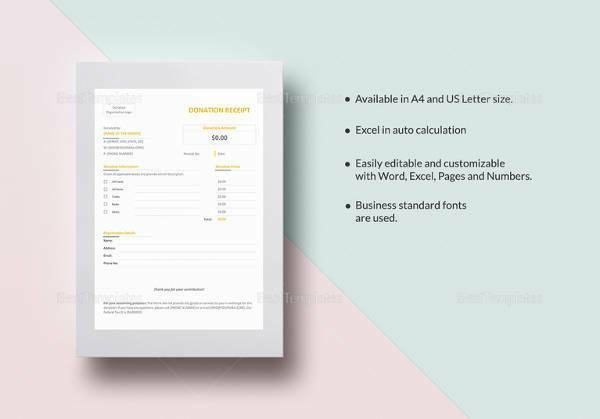 Moreover, one should make sure that at the time of the creation of receipt, accurate information should be entered into the template. 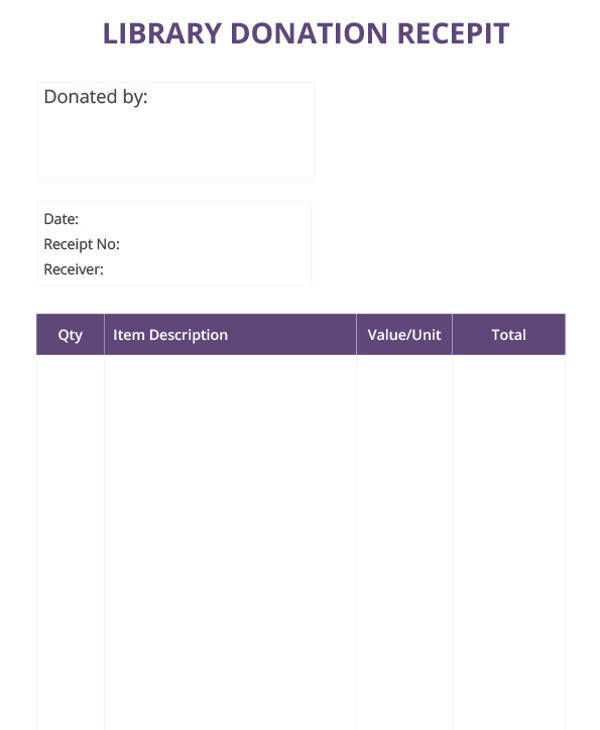 Since the data is structured accordingly, one can easily find out the total quantity of the items donated for the cause and their net worth. 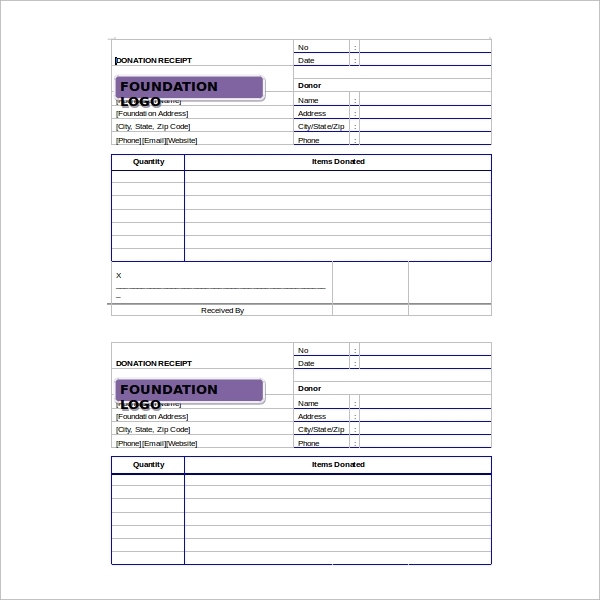 It is a legal evidence that could be useful for tax rebate purposes.You may also see receipt forms. 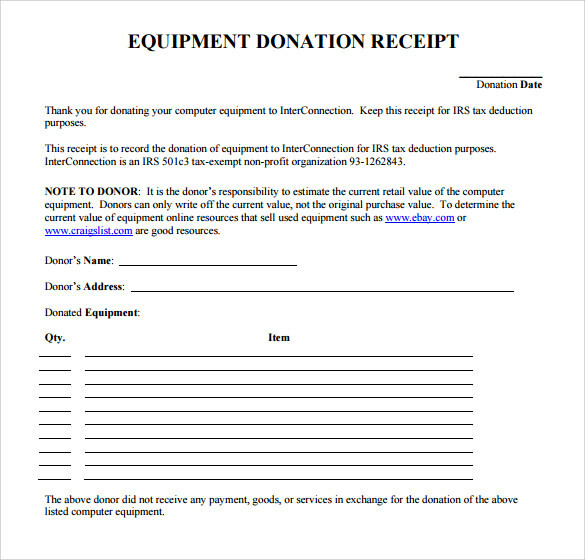 Donation receipt templates help to minimize the effort in keeping the track of the donations to the organization. 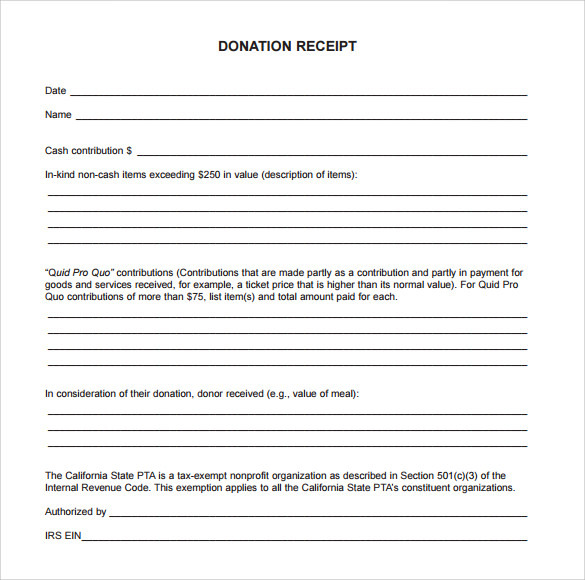 In the case of any dispute, they are handy for the involved parties.You may also see printable receipt forms.